The Malaysian property industry saw a digital evolution back in 2008, with the rise of online property platforms like iProperty and PropertyGuru. Ten years later, we’re still only exposed to such platforms with little to no innovative changes based on the growing needs of the masses. 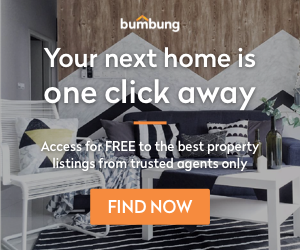 Bumbung.co has taken it upon themselves to construct a new online marketplace platform with improved user experiences for both property buyers and sellers alike. But, they need your help. In order to build a marketplace for the people, further information is needed. Be part of the future of online property platforms by letting your opinions be known! Your feedback is fundamental for the framework of future property marketplace platforms. The future of proptech is in your hands. Bumbung thanks you!